Like a record spinning on a turntable, most things in life go in circles. At one point, vinyl was the most popular method for music listeners to enjoy the sounds of their favorite artists. Over time other formats like cassettes, CDs, and eventually MP3’s would over take the public’s interest, and the vinyl seemed as if it was going the way of the dinosaur. But things turned, and vinyl is once again a hot commodity. The format saw a 32% sales growth from 2012 to 2013, and each year more vinyl records were sold than the previous one for six straight years. Part of that rise is due to a committed community that cherishes digging for classic, rare, and personal favorite records to add to their collection. 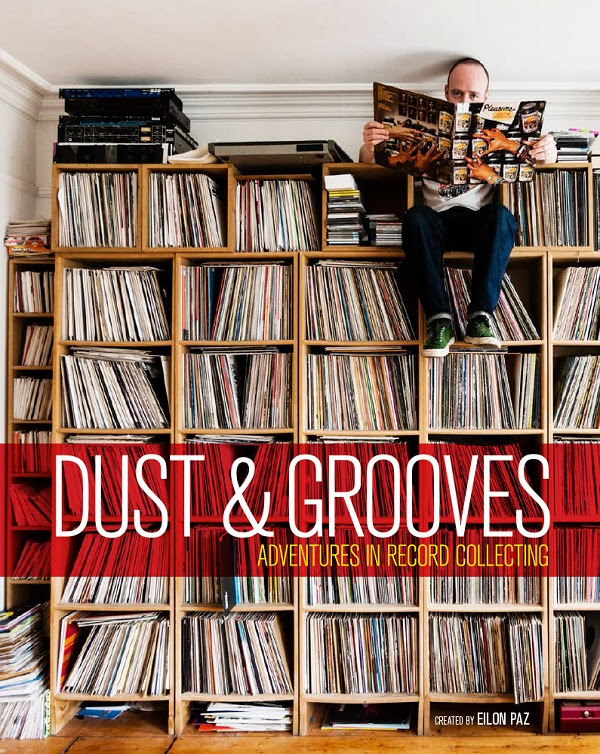 Like any great cultural shift, relevant moments like this need to be documented, and Israeli born photographer Eilon Paz (Saveur, Vibrations) took on the task of compiling the pictures and stories of 130 vinyl connoisseurs into his new book Dust & Grooves: Adventures In Record Collecting. 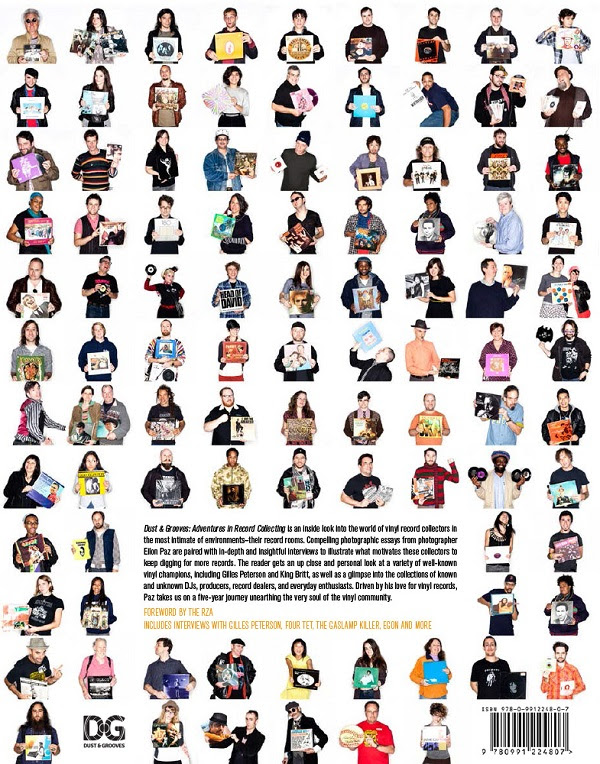 What began as a widely popular online blog has now expanded into a 416-page coffee-table volume. Dust & Grooves includes 250 full-page photos with captions and quotes. It also features 12 full-length interviews with some of the collectors like Rich Medina, Kieran Hebden (Four Tet), and Frank Gossner. Ego Trip’s Jeff Mao contributed an opening essay, and Wu-Tang Clan’s RZA penned the foreword. Aptly, Dust & Grooves: Adventures In Record Collecting will be available on Record Store Day – the annual April event dedicated to celebrating independent record stores around the world. DZI: The Voice recently spoke with Paz, and the Brooklyn resident discusses his new book, his own vinyl collection, and more. Yohance Kyles: Why did you originally decide to explore vinyl record collecting for your new book? 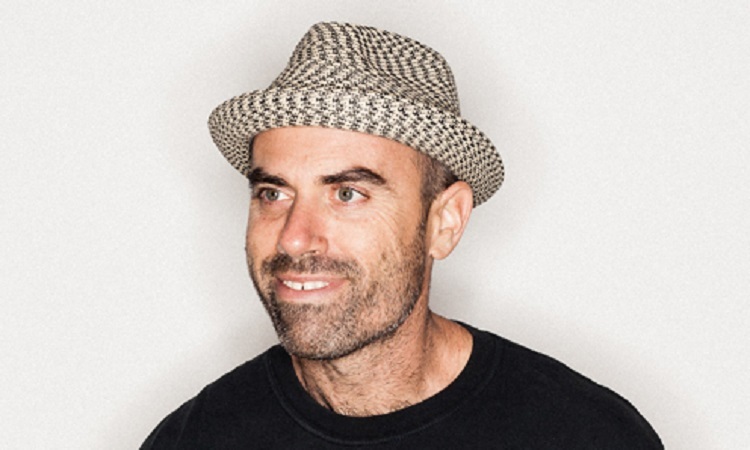 Eilon Paz: Being a vinyl collector myself, this subject matter is dear and close to me. I’m not as intense as my subjects, but it first generated with my love for music and vinyl. I’m originally from Israel, and I moved to Brooklyn six years ago. I was a professional photographer in Israel, and I decided to make a move. I arrived here in the beginning of the big recession, and there were no jobs to be found. I just found myself roaming in record stores, passing time, and enjoying the abundance of records here in the States. That was something I wasn’t used to back in Israel. I was really impressed and enjoyed the vinyl community here. Also, it was my will to create a personal photo project for myself that was independent. These circumstances made me start doing this project – being unemployed, this drive to do a personal project, and just being really overwhelmed with vinyl records here. YK: While growing up in Israel what exposure did you have to American music? Were there any particular artists that you enjoyed? EP: There is a joke that Israel is like the 51st state of the U.S., because it is a strong ally in the Middle East and very much influenced by the U.S. In the 80’s, things were much more behind than what it is today. We’ve kind of leveled up with the rest of the world, and I think countries around the world leveled with advanced technologies. So we’re almost in line with other countries. It was pretty limited, but almost anything that happens in the U.S. arrives to Israel in a slight delay. But we were also influenced by European culture. There was always a mish-mash of music from the U.S., Europe, and of course Middle Eastern and Arab music. A lot of the artists that I really love before I was even a teenager were mostly from the U.K., but I think when I discovered Jazz and Funk that was the biggest influence of American music on me. The most obvious are James Brown, Sly and the Family Stone, Stevie Wonder, Herbie Hancock, etc. YK: You had the chance to interview a lot of different vinyl collectors. Did you discover any similar motivations that drive their interest in collecting vinyl records? EP: I guess generally speaking, vinyl collectors tend to be a higher level of intelligence. They have a phenomenal memory, because they remember stuff most people probably wouldn’t pay attention to. Another thing that is common is kind of an obsessive mind about accumulating or possessing things. Also, they’re very sensitive. I think because collecting vinyl is an expensive hobby, for these people it’s beyond a hobby for them. It’s a lifestyle, so they invest a lot of money in vinyl. It is basically their medium to connect to music. YK: What prompted you to connect with Wu-Tang Clan’s RZA and Ego Trip’s Jeff Mao to provide exclusive statements for Dust & Grooves? EP: Only in the past two years has this become a book project, and I started working really extensively on making the book. That transition between a website into a physical book has many aspects. One of them is incorporating essays and writings from known writers. On the website, I was doing everything by myself. I’m not a writer. I learned how to write and interview people, but this is not my main thing. I’m a photographer first thing. So while working on the book, I started to approach music writers to collaborate with me on interviews. I photographed Jeff Mao like a year ago. I admired his writing, and I asked him if he would write an essay about vinyl collection. He agreed. That was great. The RZA, I’ve never met or photographed him (I wish this will happened one day), but I was looking for a personality that could write the foreword. The foreword, the way I see it, is the bridge between the organic community of the book which are record collectors and the common reader; the people who go to a book store and see the book but are not necessarily collectors. That’s why I was looking for someone that’s well known in the music business, but he’s not necessarily identified as a record collector. Rza came to mind, and I happened to know someone that I photographed in the book who just made a call and made this thing happen. YK: One of the collectors featured in the book is Bob George from the Archive of Contemporary Music. The library reportedly contains over 5 million items. As a music fan and collector, what was it like to have access to that collection? EP: It was great. I’m not impressed by size anymore. I was at the beginning when I first started. Visually of course large collections are always more photogenic and create a mind-blowing image, but after a while I moved forward in looking more into the content – interesting collections, weird collections or unique people who can tell interesting stories about their collections. But the Archives and Bob’s work has inspired me. Not necessarily because of the size, but because of the patience that he has for his job. He’s kind of like Noah and the Ark trying to preserve records and dedicating his life to it. That in itself is impressive. Walking through the Archives was an interesting and beautiful experience, but yet it still was not the most inspiring shoot that I had. It was cool, and I’m glad that I did it. But I’m more into personal stories, which the Archives have, but it’s not about the size. Size doesn’t matter. Listen to Eilon Paz discuss searching for vinyl records with Frank Gossner in Ghana below. YK: What do you look for when you’re selecting records to add to your own collection? EP: I’m really a causal collector. I don’t collect like most of my subjects do. I don’t have a list of “Holy Grails”. I don’t look for a specific condition of a record. As long as it plays nice, I don’t mind a few scratches. Usually, I would go for records that are less than $10. I really love vinyl. I really love music. I don’t tend to accumulate too many things in my life, so I keep my collection small and tight. I don’t want to have more than 200-300 records. I think it’s nice to keep it small and very selective. YK: As a music lover do you only purchase vinyls or do you buy other formats like CDs and digital music? EP: I don’t buy CDs. I don’t see the point anymore. I used to back in the 90’s. So yeah, I’m just buying vinyl and listening online. And then usually if something hits me or strikes a chord when I listen to it online, I’ll go and look for it on vinyl. YK: Do you remember the first image you captured on camera? EP: The girl I was in love with when I was sixteen years old. YK: You’ve also shot for various publications. Outside of vinyls, what other subjects do you enjoy to shoot? EP: I’m a portrait, travel, and food photographer. That’s what I do for a living. That’s kind of in-line with what I do for the book as well. Not the food, but the travel and the portrait. Shooting food is really fun, because it’s always a challenge. It’s gets me to different places, and I get to eat food. Dust & Grooves: Adventures In Record Collecting will be available at participating Record Store Day locations on April 19th and then at online retailers on April 22nd. Dust & Grooves along with I Love Vinyl, Dub-Stuy Records, Turntable Lab, and Classic Album Sundays is hosting an opening reception, launch party, and book signing at Brooklyn, New York’s powerHouse Arena on April 19th at 6 PM.